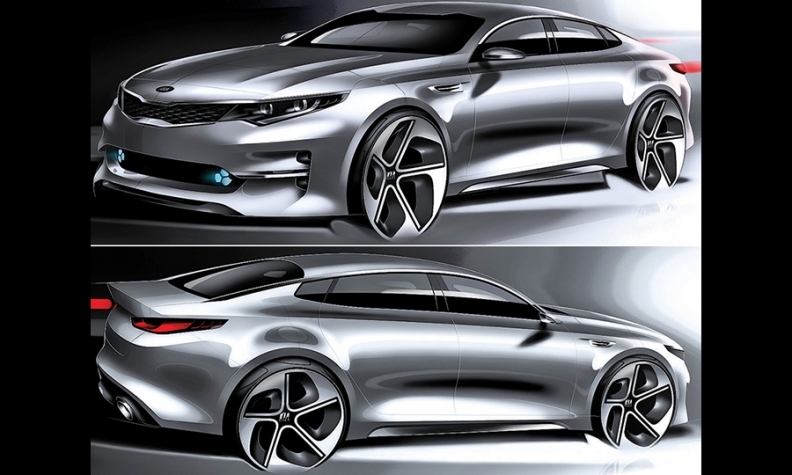 Kia Motors flashed these renderings of the fourth-generation Optima midsize sedan that it will unveil next week at the New York auto show. Kia hopes to build on the recent success of the Optima, which was last redesigned in 2011 and has been the brand's top seller in the U.S. the past three years. Early images suggest that the reworked Optima will retain styling cues such as its fastback silhouette and the "tiger nose" grille designed by Hyundai-Kia design boss Peter Schreyer.